Raised in an interracial and multi-faith family and witness to the ways that racism and xenophobia show up in our society, Sandhya’s career has been marked by work to effect public policy change and to build what Dr. Martin Luther King called Beloved Community (at the Oakland Peace Center). Sandhya received both a Master of Divinity and Master of Public Policy from the University of Chicago. She is an ordained minister in the Christian Church (Disciples of Christ). Sandhya serves as an anti-racism/anti-oppression trainer with Reconciliation Ministries for the Christian Church (Disciples of Christ). 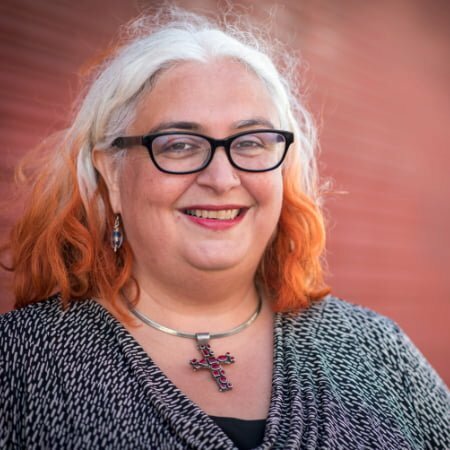 She is a faith-rooted organizer with Interfaith Movement for Human Integrity and with the Emerging Leaders Program at the Leadership Institute at Allen Temple. She is the author of Room at the Table, the history of people of color in the Disciples of Christ, Pre-Post-Racial America: Spiritual Stories from the Front Lines on the subject of race and spirituality in America, and Transforming Communities: How People Like You are Healing Their Neighborhoods, that focuses on concrete ways that regular people are creating change community-by-community in an era where positive change can feel impossible.